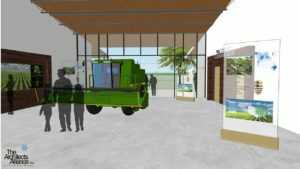 The Missouri Soybean Merchandising Council’s efforts to drive research and education for all things soy are starting 2019 with a great boost for the new Center for Soybean Innovation. 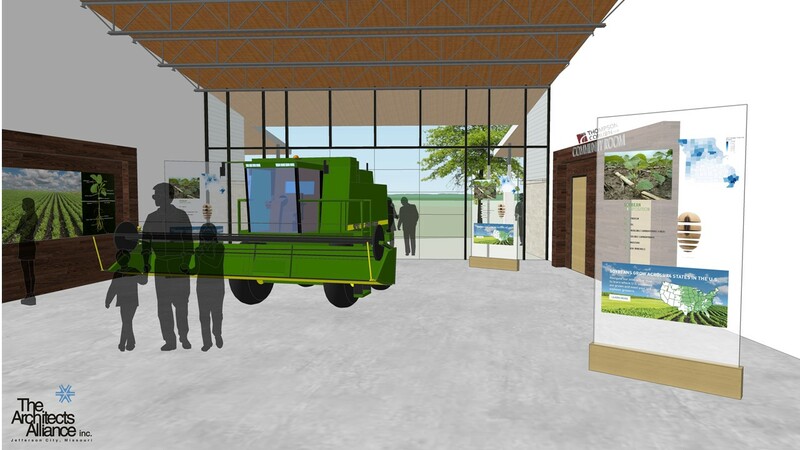 The Center will connect developments in soybean innovation with farmers and industry partners, as well as the community. In late 2018, Thompson Coburn LLP committed to financially support the Council’s new facility in Jefferson City, which will highlight the many uses for soy, including demonstrations of soy-based building materials, and provide education and training space, as well as a community room. “Thompson Coburn’s partnership with the Center for Soybean Innovation is an extension of our total commitment to the thriving U.S. food and agricultural industry, as well as the dedicated farmers, researchers, and innovators represented by the Missouri Soybean Merchandising Council,” said Thompson Coburn Chairman Tom Minogue. In appreciation for the sizable contribution, the Center’s community room will be named for Thompson Coburn. Thompson Coburn has a more than five-year relationship with the Missouri Soybean Merchandising Council, working closely with farmer leaders and staff on bringing technology developed through the organization’s robust research program back to Missouri farmers. When it opens in early 2020, the Center for Soybean Innovation will bring together the many organizations working with and on behalf of Missouri’s soybean growers in one location, and serve as a hub for business development and incubation, as well as value-added agriculture. From the Missouri Soybean Association and Merchandising Council to the Biodiesel Coalition of Missouri and Foundation for Soy Innovation to the administrative functions for farmer-owned biodiesel plants, Missouri Farmers Care and the Ag Education on the Move programs, it will be a one-stop-shop. 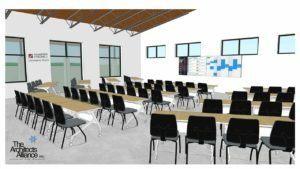 The building will also feature soy-based building materials and demonstrate new uses for soybean, from soy-based countertops, flooring and insulation to turf, asphalt sealant and biodiesel/BioHeat. To learn more about the Center for Soybean Innovation, visit mosoy.org. Note: Photos of the construction site and architectural renderings are available upon request. Please contact Christine Tew at ctew@mosoy.org for the file(s).